As a solution-focused therapist, my goal is to help you solve your problems that impede your happiness and well being. While we can't change difficult situations of the past, we can work together to better understand and resolve the current challenges in your life. You may be depressed, anxious, struggling with addiction or feeling stuck in old patterns that leave you feeling hopeless. Perhaps you are your own worse critic, habitually repeating negative, harsh, or judgmental messages to yourself. Or, you may be facing overwhelming challenges with your spouse or significant other. I have been helping people overcome these and many other life issues for over 15 years. My therapy style is warm and compassionate but also very active. I believe that therapy needs to produce insight as well as a change in behavior. I have worked in the personal growth field since 1991, both in encounter group weekends for adults and similar summer camps for children and teens. Both programs provided relationship skills training, conflict resolution, community building, and personal growth for children and their families. Working in private practice since graduating in 2004, I have also worked at various treatment centers treating Eating Disorders and Distressed Youth working with individuals, couples and families. I offer an integrated approach to bring new and creative ways to address the issues that you face. I specialize in relationships, loss and grief, adoption issues, health issues, eating disorders, women's issues, depression, anxiety and spirituality. My training and experience offers different modalities in which to approach and explore your life experiences and health that best serve you. I offer Psychotherapy, Expressive Art Therapy (art, movement, writing, role play), Voice Dialogue facilitation (a structured, experiential exploration of various inner aspects), Spiritual Counseling and MARI Mandala Assessments. I am a Licensed Professional Counselor, Registered Art Therapist, Certified MARI Mandala practitioner. I work with children (8yrs old+) adults, families and experiential workshops. My role as therapist is to support and assist fellow travelers along their journey through the wilderness of life. While each person is unique, presenting individual sets of strengths and challenges, we all walk through this experience together. The path we travel, from the depths of the dark night of the soul to luminous expansion toward self-actualization, is at once terrifying and ecstatic. It is my calling to explore this territory together, bringing to the sacred space of therapy a safe and strong container which empowers you, my client, to chart your own course into life. My approach to therapy is a combination of talk therapy and body movement work. I provide a strengths-based and motivational interviewing approach, believing that the individual holds the answers and power regarding one�s own life. Together, we uncover the strength within by discovering what already exists but is underdeveloped. By adding the modality of body movement to coincide with an emotional concern, a client can both physically and emotionally feel a change. Being intellectually, emotionally and physically stimulated within a counseling session creates an atmosphere for greater change both inside and out. My emphasis is in work with adolescents, GLBT, depression, low self-esteem, anger and more. 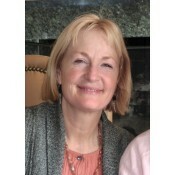 Please contact me through my website at www.templecounseling.com. I look forward to hearing from you. 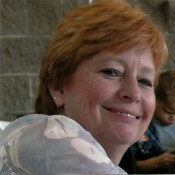 In addition to private counseling, Robin also teaches the Relationship Skills Seminar and the PAIRS Passion Weekend. Call to schedule a free initial 40 min consultation. Click the Full Profile for more information, including upcoming seminars. The Interpersonal Healing Clinic offers a variety of therapies including Mindfulness Cognitive-Behavioral Therapy (MCBT), Interpersonal therapy, Humanistic therapy and focus on positive coping strategies. The importance of the therapeutic relationship is stressed providing counseling for adults, adolescents, and children doing individual, group, marital/couple, and family work. The IHC takes several insurances including United, Aetna, MHN, Human and Lifesync. Sliding scales are provided for those who do not have insurance. Are you a sensitive person who feels overwhelmed by the world around you? Do you sometimes feel like your needs are trampled on by others? Do you find yourself experiencing the same problems despite your best efforts to do things differently? I get it. I have been there myself. Many of us have difficulty knowing, or even asking, for what we need. We often suffer from patterns which repeat themselves and are hard to understand. Sorin is a queer and non-binary transgender licensed professional counselor candidate offering individual, family, and group therapy for trans* people. 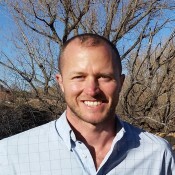 Sorin graduated from Naropa University with a master's degree in Somatic (body-centered) Counseling Psychology. Sorin works with adolescents, adults, and couples/families of all configurations providing emotional support, transition support, and gender diversity training for involved family and/or community members. Sorin uses body sensation/movement and mindfulness practices to support holistic healing. Therapy is client-directed and Sorin specializes in modalities such as wilderness therapy and animal-assisted therapy, so clients will have an opportunity to incorporate a hike or Sorin's certified therapy dog into their process. Creativity knows no bounds! One day you�re a kid with no responsibilities and then suddenly you find yourself in that in between place...not a kid anymore, but not quite an adult. During that exhilarating and confusing window, sometimes having an adult to talk to, someone who isn�t Mom or Dad, can make all the difference in the world. I had that when I was a teen, and I don�t know what I would have done without it! Now I get a lot of satisfaction out of being that adult for young people in transition. Whether my role is to provide a nonjudgemental and caring ear, to work more specifically with healing from a traumatic event, or to just give a little advice, it�s a true honor. So feel free to shoot me an email or give me a call. I offer a 30 minute consultation free of charge to find out if we�re a good fit. Cross-cultural, cross-gender competency. Specializing in grief and loss, healing from internalized oppression and psycho-spiritual issues. Colleen has a warm, compassionate, and direct approach with clients. 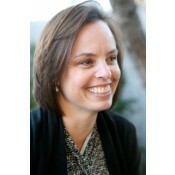 Her practice centers around addictions, trauma, pain management, mild brain injuries, mood disorders and anxiety/panic. Colleen works primarily with adults ages 18 to 65. She utilizes multiple techniques and approaches as she finds it vital to have many methods of working with clients depending on where they are in their process/life. Some of these techniques/orientations are EMDR, IFS, DBT, Attention processing training, EFT, and motivational interviewing. Colleen believes wholeheartedly in sharing her knowledge with clients and leaving no mystery around how techniques work. 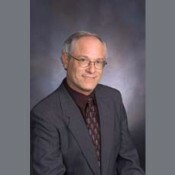 Gary Toub, Ph.D., is a licensed psychologist and diplomate Jungian analyst with over 30 years experience. In his Denver private practice, Dr. Toub specializes in Jungian analysis, depth psychotherapy, dream work, and self-actualization. He is also a senior training analyst and Board President at the C. G. Jung Institute of Colorado. Dr. Toub offers short-term and long-term help with a variety of personal issues utilizing the input and guidance of the unconscious. This process fosters transformation and assists individuals in realizing their full potential. Dr. Toub also aids in the search for meaning via connecting with the collective unconscious, particularly the regulating center Jung called the Self. For more information, see Dr. Toub's website at http://home.comcast.net/~gtoub/. I specialize in helping people who suffer from anxiety and low self esteem. If you have panic attacks, anxiety, problems maintaining healthy relationships, or a lack of confidence which keeps you from achieving your life goals, I can help. Please visit my website at www.cultivateconfidence.com for more information, or call me at 720-470-3526. I provide individual psychotherapy to adults and adolescents as well as DBT Group Therapy. I love what I do and have worked in mental health since 2008! I also offer nature-based sessions in Boulder upon request. I'm LGBTQIA+ friendly and passionate about using trauma-informed approaches as well as Mindfulness breathing techniques and Values Exploration to work with people who are navigating anxiety, grief and loss, struggling with addiction or OCD, or moving through gender transitions, coming out, or questioning their sexuality or spirituality to name a few of my favorite types of work! 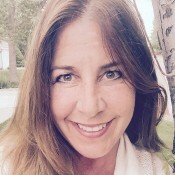 Lisa has a Masters in Counseling Psychology with a clinical focus on Parent Coaching, Couples, Women/ Mothers, Family Therapy, Divorce & Life Coaching as well as Autism Spectrum, 'difficult' children and family systems. 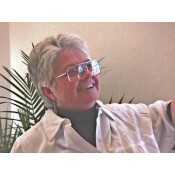 Elyn blends traditional counseling, art therapy, and mindfulness to suit individual needs. She helps individual adults conquer feelings of stagnancy and powerlessness in areas including relationships, careers, and emotional eating. 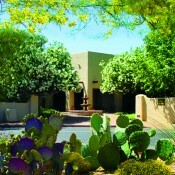 Sierra Tucson� is more than a drug treatment center, as it is dually licensed to facilitate healing for psychiatric issues as well as many types of addiction and chronic pain. A comprehensive Family Program is included for all patients and their invited family members.The acclaimed Sierra Tucson treatment philosophy, expressed as the Sierra Model�, recognizes that we all exist as mind, body, spirit, and emotions. The combination of both traditional and innovative therapies engages patients experientially. Only after healing progresses beyond the symptomatic to embrace the whole person does real recovery begin. Sierra Tucson has received dual Accreditation by The Joint Commission, plus Pain Program Accreditation by the American Academy of Pain Management. Specialized programs are offered for Chemical Dependency, Eating Disorders, Mood and Anxiety Disorders, Sexual Compulsivity, Trauma, Chronic Pain, and Complex Assessment and Diagnosis. Our Progressions Program is available for advanced recovery skills. Clients: adult individuals and couples. Issues: depression, anxiety, adjustment, relationships, sexual orientation & gender identity. Approach to treatment: individualized, drawing upon Emotion Focused Therapy, mindfulness, and brain research. Boulder and Denver appointments available. Are you challenged by your child's behavior? Struggling through depression or a loss? Fighting with your partner or family? Do you feel like something in your life has got to change, but you don't know what to do? I am a couple, family, and individual therapist with over tweleve years in the field of mental health and would love the opportunity to help you discover the answers to make those changes. I see therapy as a way to enable you to find empowerment to achieve your goals and the life you want. I help you to do this with a primary focus on relationships, not only relationships with others but the most important relationship; the one you have with YOURSELF. I specialize in depression, anxiety, mood disorders, grief & loss, relationship issues, and supporting parents and families blessed by yet struggling with a difficult child. Having worked in the field of human growth for almost 40 years, Karen Turner has worked with thousands of people, in all walks of life. Combining spirituality with Depth Psychology, shamanism, Jungian work, psychosynthesis, and intuition development, she works with individuals and couples. Karen feels her life has been blessed and privileged because these people have shared so much, teaching her how to work with them. All crises have the potential for spiritual awakening. She helps people discover and apply the tasks necessary for them to actualize this potential. Karen works in person, by phone or chatroom. 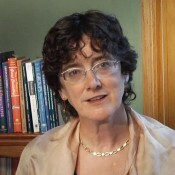 Karen taught in and helped to establish one of the original Transpersonal Psychology programs in the world at JFK University; she is an internationally known author, workshop and presentation leader.